Home > Monitoring Your Performance > Key Performance Indicators: What Should I Be Measuring? Key performance indicators are a vital tool for charities and fundraising organisations. They help you to determine the success of your organisation, primarily from a financial perspective but also from a range of other points of view. But it can be difficult to determine which key performance indicators (KPIs) you should measure. We have compiled a list of some of the most important metrics to keep an eye on. Many fundraisers will consider total donations to be their most important metric. In many cases, fundraising campaigns are simply about the total amount of money raised, and it is vital that you keep track of this. You should make sure that you keep a close eye on this figure, in order to help you identify potential reasons for fluctuations in donations. This is a particularly important metric, as it helps you to determine the individual financial importance of each donor to your organisation. Of course, not every donor will give the same amount; indeed, you are likely to see a significant difference between your top donors and those who give the least. You may therefore wish to segment the data to separate particularly big donors from the rest and therefore provide more accurate figures. This represents the number of donors lost over a certain period. You can measure this in a variety of different ways. For example, if you take direct debit donations, a donor might be considered to have ‘left’ you if they miss more than one expected payment in a row. If your donor attrition level goes up, something is going wrong. This is the total number of donors who regularly give to your organisation. This is important for a number of reasons. 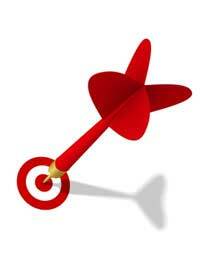 Amongst other things, it helps you to determine the success of marketing campaigns. If your donor base is growing, you can pretty safely say that changes in your marketing techniques are having some success. As well as simply measuring donations, you should also consider ways to measure overall interaction. For example, how many emails or phone calls do you receive, on average, per donor per month? This can help you to determine how much of a connection you are making with donors. Furthermore, it can help you to identify those donors who are most likely to be happy to be approached to do some extra work for the charity. As well as looking at your income, you need to keep a close eye on your expenditure. The majority of charities are strapped for cash, and every charity wants to make sure that as high a proportion of donations as possible goes straight to the cause. By looking at your expenditure in different areas you can identify ways to save money. You can often cut your expenditure very significantly by taking simple steps like changing utility providers. This is a particularly effective way of measuring your financial effectiveness. If the cost per pound of each donation is increasing, you need to think about ways to bring your expenditure down. Indeed, you should constantly be striving for a downward trajectory with this figure. You should keep a close eye on a range of key performance indicators to help ensure that your fundraising efforts are as effective as they can be. Remember too that you must measure these metrics regularly in order for them to remain useful. This article helps me a lot and my Organisation too. Keep up the Good Work !! Looking forward to it . Hope for the best . Thank you.